Vera’s childhood was spent in relative comfort. She was born into a wealthy family, and with each passing year grew more and more beautiful. With money and beauty behind her, Vera should have been happy with her life. However, tragedy struck when her mother died before Vera was ten-years-old. It is not clear how her mother’s death affected her, but soon after moving to Berkerekul Romania, it became clear Vera’s personality was changing. She now wanted more. More male attention. More male companions. More, more, MORE. Not only that, but she had to have their undivided attention all the time. By the age of fifteen, Vera was constantly running away from home. She was spending all her time with men much older than herself. These relationships never seemed to last, seemingly due to her possessive and jealous nature. She was suspicious of any man who did not spend all his spare time with her, assuming that if he was not with her then her beau must be cheating on her with someone else. Maybe it was that harlot at Number 23, or that trollope of a woman that smiled at him yesterday. Such a strumpet, Vera would fume. When Vera decided it was time to settle down, she chose a much older man named Karl Schick. He was a businessman who was away at work all day, leaving Vera alone with her thoughts for long periods. Her suspicious nature muttered to her every day, and only became worse once she gave birth to a son, Lorenzo. She had figured that the advent of a child would reign in her obviously philandering husband. Oh, he said he had to work late to pay for the extra mouth to feed. Did he really think she was that naïve? As Vera would discover, it was a relatively simple task to make a deceitful spouse learn once and for all not to misbehave. She would make sure he never did it again. A bottle of arsenic, coupled with a quick slip of the wrist over a carefully positioned glass filled with her husband’s favourite wine, and Karl became a lot easier to deal with. Vera decided to dispense with the truth, opting to tell family and friends that she had been abandoned by the useless, good-for-nothing, womanising son-of-a-horses-arse, who couldn’t lie straight in bed if his life depended on it. She mourned the loss of her role of wife for the appropriate twelve months, and then advised everyone that she had heard her husband had died in a car crash. 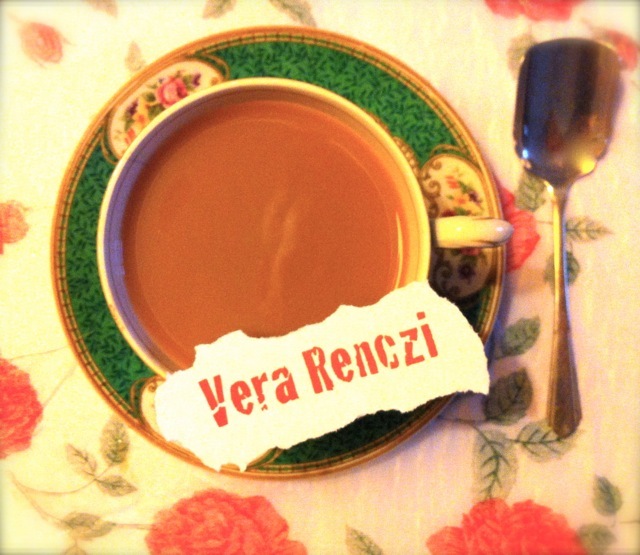 With her first husband now officially dead, Vera zeroed in on another prospective groom-to-be, Joseph Renczi. Despite being nearer to her age, this second marriage was a stormy one. This did nothing to quiet the jealous voices in Vera’s head. After quietly enduring her new husband’s obviously roving eye for a number of months, Vera was once again fed up. Once again, she became careless with the arsenic. As before, Vera told everyone that her husband had left her. She again set about playing the dutiful role of abandoned wife, ticking down the proper mourning period of twelve months. Then Vera announced she had received a letter from Joseph, obligingly advising her that he had no intention of returning and she had best accept the reality. Throwing her hands up in despair, Vera decided that marriage was not worth the effort. She never wed again. However, she was in no danger of being lonely. With her stunning features and wealth, there was no shortage of admirers. She had numerous affairs, many that she flaunted openly and some with married men about which she was rather more modest. She still held fast to her belief that fidelity was paramount in a relationship, but she clearly couldn’t be held responsible if a man strayed towards her. These other women just had to be more careful with their husbands. Vera’s activities soon brought her to the attention of the local constabulary, mostly because the men she was connected with had a habit of disappearing soon after taking up with her. Vera told them she was just as frustrated about the whole state of affairs as they were. They just keep leaving her. Or they were unfaithful. Either way, she told them she was mystified as to why they couldn’t be located. While the police had their doubts, there was no other evidence to suspect her and they went on their way. Vera thought she could continue on with her merry dance for a long time to come. She was quite enjoying the continuing attention she was receiving. Unfortunately for her, the wife of one of her conquests had also taken notice. She had followed her husband to Vera’s house. When he did not return to her, she hurried to report his disappearance to the police. This time, the police were not going to accept from Vera what was now just a flimsy excuse. They searched her premises, eventually arriving in the wine cellar. Instead of barrels of wine and cider, there were dozens of coffins, at least 30 of them. Each one was lined with zinc, and each contained its own body. Strangely, there was also a comfy looking armchair in the cellar. Given the circumstances, Vera decided to confess to the murders of 32 men. She also admitted that she’d lied about how her two marriages had ended, and advised that her son Lorenzo was also a victim. He had stumbled on her makeshift crypt and was threatening her with blackmail, so she poisoned him with arsenic as well. At her trial, Vera claimed that she did what she did out of love, saying that they had all been unfaithful and she wanted to make sure they wouldn’t leave her. She said that she would sit in her comfy armchair and talk with the coffins for hours. The judge was unmoved, sentencing her to life imprisonment. Shortly after, Vera suffered a fatal cerebral haemorrhage. There is no getting around the fact that Vera was quite an unwell person. But you had to hand it to her; she achieved her aim of keeping a man. While most woman chose stealing the remote or starting an argument to get some sort of response from the other half, Vera had a unique way of getting a man’s attention.